This week’s list of data news highlights covers March 30-April 5, 2019, and includes articles about AI helping doctor’s treat brain tumors and an AI system that analyzes the technique of violinists. A team of researchers led by the Euro-Mediterranean Seismological Centre (EMSC), a nonprofit that provides real-time earthquake information, has developed a system that analyzes crowdsourced and traditional seismic data to accurately and quickly detect earthquakes. The system analyzes tweets that use earthquake-related keywords, the IP address of computers visiting the EMSC website, the ESMC’s app for user-submitted earthquake reports, and data from seismic sensors to predict earthquakes with 97 percent accuracy. In addition, the system identified half of the earthquakes in less than two minutes, which is a minute faster than traditional seismic networks. Researchers from Heidelberg University Hospital in Germany have developed a neural network that helps radiologists determine how chemotherapy and radiation therapy are affecting brain tumors. The researchers trained the network on 2,000 MRIs from more than 500 patients with glioblastoma, the most aggressive form of brain cancer. The network predicts the mass of tumors more reliably than standard manual assessments by 36 percent, which can help doctors gauge treatment effectiveness. Florida grocery store chain Sedanos has deployed AI robots that assemble orders, allowing it to offer free curbside pickup to its customers. Sedano’s 30 robots, which find items based on bin locations, work faster than humans because they can assemble eight orders at a time. The grocer also analyzes purchasing data to place items together that humans might not expect are often bought together, such as baby food and beer, to help the robots assemble orders faster. Researchers from MIT and the University of Texas used machine learning to improve the flavor of basil. The researchers grew basil plants under different lighting conditions and measured the level of molecules associated with flavor in each plant. Machine-learning algorithms then analyzed the data to find that exposing the plants to light 24 hours a day induces the most flavor. Researchers from the University of Southern California have developed an AI tool that predicts the rating the Motion Picture Association of America will assign to a film. The researchers trained the tool, which uses natural language processing to identify the depiction of violence in movie scripts, on a dataset of 732 movie scripts. The tool can alert movie producers that they may need to alter a script to achieve their desired rating before shooting a movie. Researchers from the U.S. Department of Energy (DoE), Department of Veteran Affairs and the Lawrence Berkeley National Laboratory, which conducts research on behalf of DoE, have created a neural network that identifies veterans at risk of suicide. The researchers trained the network on a dataset of medical record information for 40,000 intensive care unit patients. The network learned to distinguish between patients with a high risk for suicide from those with a low risk by analyzing discharge and physicians’ notes. Los Angeles County has partnered with Code for America, a nonprofit that helps government design and use technology, to expunge more than 50,000 marijuana convictions faster by using an algorithm. California legalized recreational marijuana use in 2016, and the algorithm automatically decides if a case is eligible for dismissal or resentencing. San Francisco has also worked with Code for America to automatically review marijuana convictions and has presented more than 8,000 cases to a judge for expungement. Researchers from Cornell University have developed an algorithm called Stork that can classify if a human embryo will lead to a successful pregnancy with 97 percent accuracy. The researchers trained Stork on 12,000 photos of human embryos that embryologists had graded, correlated the embryo grades with the probability of successful pregnancies, and classified embryos as good quality if the embryos’ had a greater than 58 percent probability of leading to a successful pregnancy. Stork can help improve the success rate of in vitro fertilization by assisting embryologists in choosing embryos. Researchers from Pompeu Fabra University in Spain have developed an AI system that analyses the technique of violinists. 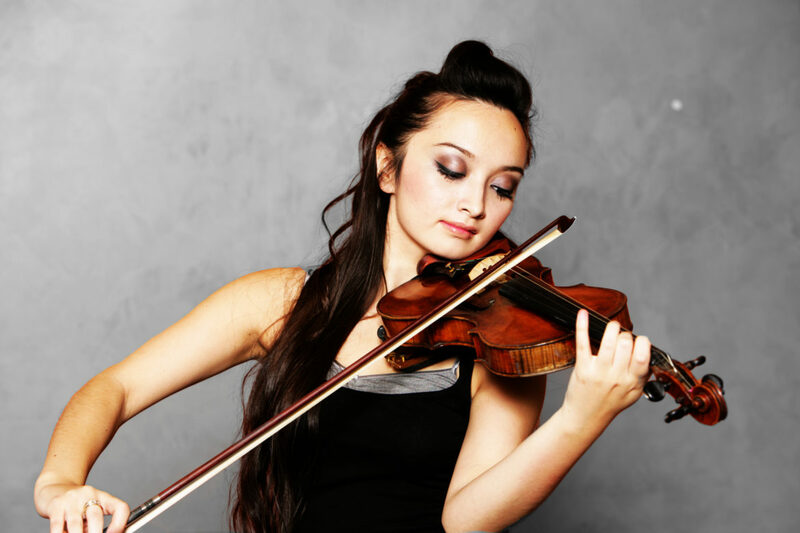 The researchers used data on the arm movements and corresponding sounds of a professional violinist to teach the system how to identify different bow techniques, such as Bariolage, Staccato, and Ricochet. The system identified the technique of the violinist with 94 percent accuracy, meaning it could help students assess their own technique. The U.S. Food and Drug Administration (FDA) has published a draft regulatory framework for medical devices that use machine learning to continuously improve. The FDA has already approved medical devices that use AI, but the FDA requires the devices to go through the approval process each time a device changes, which can be cumbersome for machine learning systems that can regularly iterate and improve over time. The FDA’s proposed framework includes reviewing the performance of manufacturer’s algorithms, the manufacturer’s ability to manage the risk of changes, and an option for manufacturers to submit a plan for how they would make modifications or retrain their model.